← WordPress…it’s all new to me! Previously I had only touched on the uses of cloud computing having used Windows Live Mesh and Google Docs to share files with clients, however I didn’t have an appreciation of the potential of the cloud. All this changed when I attended the ebusiness Club Cloud Computing Conference in Nottingham…suddenly my eyes were opened! 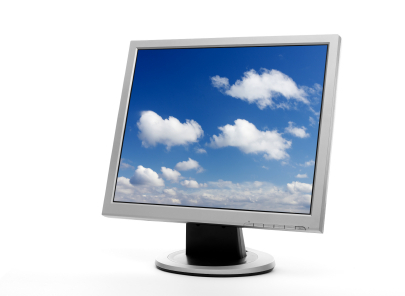 So, as a freelance technical author, how do I think cloud computing can help me and my business? The following sections describe some of the concepts discussed at the conference, and how I hope to apply them to my business. Approximately 80% of my new business comes to me through my website, consequently I am always keen to improve the visibility of my site. For my existing website (www.smartauthoring.co.uk) I use a combination of Google Adwords and SEO, but with a small budget the effectiveness is limited. At the cloud computing conference the concept of creating a website on a blogging platform was introduced. Blogs are naturally search engine friendly because of their text-rich content, combine that with the frequent updates and hopefully you have a success on your hands! So here I am, in WordPress.com creating a new Smartauthoring website. The intention is to compare the effectiveness of the two sites over a period of time. The WordPress hosted site will be constantly updated with blogs and tweets from twitter, whilst the original site will retain its static status with the occasional update when I remember! Effectiveness is difficult parameter to measure, so maybe I will have to be content with looking at visits and positioning in a Google search on a key search term such as “Technical Author”. All that needs to happen now is for me to have a constant stream of blog ideas! Only hours after leaving the cloud computing conference the hard drive in my laptop died…it seemed like an omen! Thankfully, the content of my HD had been backed up to an external drive the night before, and my attendance at the meeting meant that nothing had changed, consequently the only hardship was completing a restore. I am however now looking at cloud based back up options, such as Dropbox, that automatically synchronize with my HD as I work. In addition to backing up information, cloud computing offers freelancers such as myself the perfect solution for transferring files to the client, and to this end I have successfully used both Windows Live Mesh and Google Docs in the past. The big issue that makes many nervous though remains the security of the information held in the cloud. As far back as 2008 analysts were raising the risk issue (Gartner report) associated with cloud computing. The current advice seems to be choose a reputable provider and interrogate their security policy vigorously. When it came to the subject of email the talk of the conference seemed to surround gmail. As I only ever access my email from my laptop (I work at home 95% of the time), I am yet to convince myself of the benefits, however I can see that for users who are travelling more, using a range of devices to access their mail, a cloud based email application will be a God send. Since setting up my business 5 years ago I have worried that not having a land line telephone may have a detrimental affect on my company’s credibility. However, the cost of installation and line rental have to date made it an unfeasible option. The development of VoIP however sheds a whole new light on the subject. Providers such as Skype allow the rental of a local number without the need for infrastructure changes…suddenly my computer or mobile phone can double up as my telephone. Obviously there remains a cost associated with the rental of a number, and this still has to be weighed against the benefits a “land line” number will bring. As yet the jury remains out. The area of cloud computing where the biggest mind shift is to occur, is that of applications. It is predicted that in the years to come, the purchasing of licensed copies of software will be gone, and instead we will rent and use applications from within the cloud. Already Microsoft (Office 365) and Google (Google Docs) offer software in this manner…and in time it is expected that more will follow suit. The benefit to users of using software in this way is that you always have access to the latest version and features, whilst the disadvantage is that the versions are usually feature-lite and you need internet access. The benefit to the software houses is the reduced risk of pirate copies of software circulating, and the reduced support burden of multiple versions of software. I remain to be convinced, although the presentations made from the cloud (using Google Docs and Prezi) were impressive…and certainly resolved the problem of lost or forgotten flash drives when turning up to meetings. However, ultimately the decision may be removed from my hands, as in the words of one of the presenters “cloud computing is coming, like it or not”! This entry was posted in Cloud Computing and tagged Cloud Computing, Dropbox, Freelance, Google Docs, Office 365, Skype, Technical Author, Technical Writer, WordPress. Bookmark the permalink. We are putting some effort into tools to assist businesses migrate documents to the cloud – Huddle / Dropbox etc – but with added functionality in that the folder and file naming will have rules to aid compliance – reduce file naming inconsistency, placing documents into the wrong folders- Neither Huddle or Dropbox and partners offer this facility at the moment. Thanks for the comment. Cloud Computing is a new adventure for me but always interested in finding out about tools that can potentially help me both run my business effectively whilst interacting with my client list in a secure environment (without reverted to snail mail to get files to them!). In addition, if you need a technical author to help move your product offering forward, give me a call on 07979 810512.